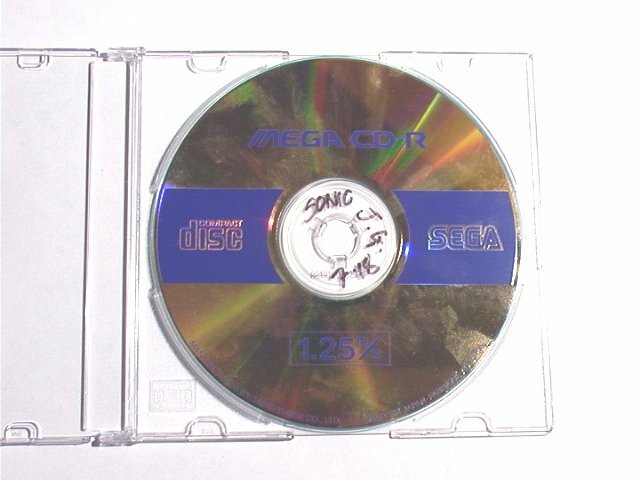 The disc itself was burnt onto a MEGA CD-R, used for testing Mega-CD games. All discs are basically the same when played through a testing disc, so it didn't matter. 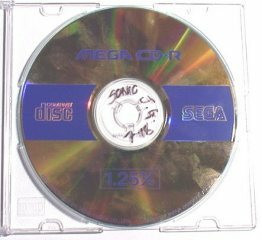 On the disc reads "SONIC J.G 7.18", meaning The Jade Gully demo, and burnt on the 18th of August, assumedly in 1995. This would have been used at a Trade Show Event, due to the data, it looks like it would not have been E3. 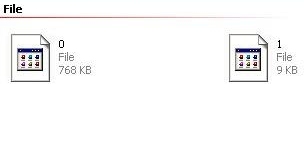 These are the files found on the disc. Not a hell of a lot is it? For such a small demo, it seems like it didn't require a whole lot. The audio would have been a Audio CD file, so it wouldn't appear here.